Initially, I got started in the business of health coaching through sickness. I watched my mother go through treatments for breast cancer using surgery, chemotherapy and radiation. I saw how destructive and draining those methods were to her human body, mind and spirit. After my mom died I made a mental note; if I ever got sick, I would try some form of natural healing first, before doing anything radical to my body. Years later, I was diagnosed with thyroid disease. I decided to NOT take the doctors advice to radiate my thyroid, and instead changed my diet, lifestyle and consciousness, and successfully healed my condition naturally. It showed me that the human body is AMAZING! It’s a self-healing organism. When we give it what it needs, it functions properly. After healing my own condition, I was so inspired! I wanted to learn everything I could about natural healing and teach that to other people so they wouldn’t have to suffer with an unnecessary surgery or taking a lifetime of medication. I immersed myself in many ancient healing techniques; visual diagnosis, organ and meridian diagnosis, herbal medicine, and food therapy. I also studied meditation, visualization, chakra healing, shiatsu, and energy medicine. I totally love it! For over two decades I’ve been guiding people and helping them find their own path to healing. Natural healing modalities are powerful tools that I use in my own life and in my practice as a health coach an educator. Whether it’s on the physical, emotional, energetic, or spiritual level, there are many paths to healing. When I was diagnosed with thyroid disease my doctors saw only my diseased thyroid. They didn’t question my lifestyle or the food I was eating. And, they certainly didn’t question my relationship to myself or to the world around me. The same thing happened with my mom. They saw her cancer and attacked it, but didn’t question where it came from or why it may have manifested in the first place. I feel this is a form of blindness in modern medicine. You can’t really see what was going on if you only look at the physical disease. What you put your attention on grows. And, if you are focusing on the disease, then that is what will surely grow. Years before any disease manifests, the physical body exhibits symptoms telling us that something is out of balance. Modern medical science excels at diagnosing disease once it has already manifested. But, a knowledgeable health coach or health and wellness practitioner, using ancient forms of diagnosis, can assess the body and prevent disease BEFORE it manifests. I had a client that came for weight loss. She was also suffering with pounding headaches that began on the side of her head and the skin around her eyes was puffy and swollen, especially on the upper lid. Her body was exhibiting symptoms of something that was happening inside her body. Even though she no longer had the “offending” gallbladder, her body was still suffering from symptoms of the underlying condition that was never addressed in the first place. Her digestive system was now working EXTRA hard, and her liver too, because she no longer had her gallbladder which is the complimentary organ for the liver (according to Traditional Chinese Medicine – they work together). If she would have initially worked with a knowledgeable holistic practitioner that is practiced in the art of diagnosis and prevention, she would probably still have her gallbladder today. I’m not knocking western medicine. Doctors are absolutely needed in the world! If I get hit by a bus and get all busted up, don’t take me to the health store and wrap me in seaweed. Take me to the hospital! That’s where modern medicine excels. 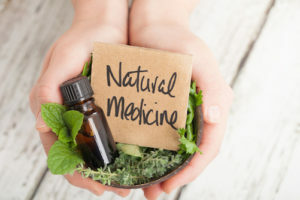 BUT, when it comes to prevention of disease and healing the human body – modern medicine needs to take a lesson from the ancient healers, and look at the bigger picture. We have to observe the physical body and listen to what it’s saying through its many symptoms. From there we can make appropriate diet and lifestyle adjustments to shift that person back into balance. The body always talks to us and gives signals that something is out of balance. No one just wakes up one day and their gallbladder, or some other organ system, has stopped functioning properly. For years, the body was giving clues that something is amiss. If you’re a health coach or wellness practitioner and are fascinated by natural healing, I recommend learning ancient forms of diagnosis for healing and prevention. Opt-in HERE to gain insight into incorporating this healing knowledge into your practice. Get ready to learn how to use this ancient wisdom for your own health and for the health of your clients!